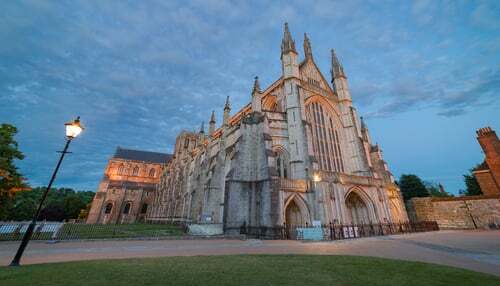 Although predominantly known for its cathedral, Winchester is a simply delightful and beautiful town. As a romantic spot it’s hard to beat; one can walk in the footsteps of world-renowned poet John Keats, or cuddle up with a cosy fire in one of Winchester’s many rustic country houses. If you’re looking for some culture, The Winchester Discovery Centre is home to regular exhibitions, performances, talks, comedy, music and theatre. In addition, the history and heritage of this city is well worth an explore and – being on the edge of the South Downs National Park – the views are breathtaking and will have you relaxed and re-charged in no time. Of course, we have beautiful escorts available in the Winchester area too to make this delightful city even more special for you. Nothing makes Winchester a more entrancing place to visit than our ladies. All of our escorts are happy to accompany you in the Winchester area, and with photos available on our ladies pages. Contact us to learn more about Winchester and make a booking.